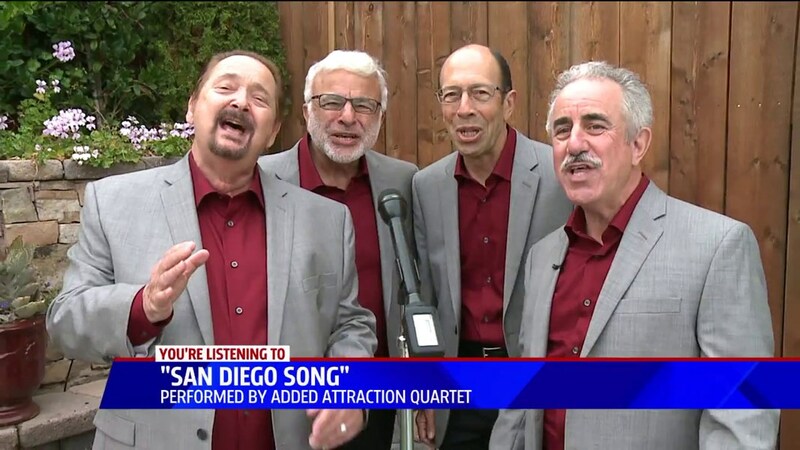 Added Attraction has been entertaining audiences for more than 15 years all over San Diego County and beyond. We have competed in the Southern California East Divison Championship for Seniors where we were honored to win the competition. We have been featured at grand openings for shopping centers, large conventions, appeared on local television, and at Sea World. 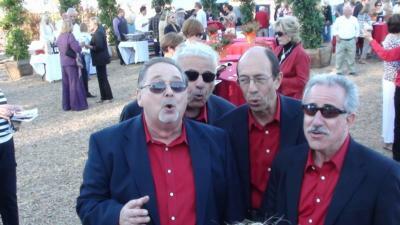 All the members of Added Attraction belong to the internationally acclaimed Pacific Coast Harmony Chorus. Our repertoire can enhance your party. We feature solid Barbershop tunes along with Doo Wop. Added Attraction can perform a solid 30 to 40 minute program from a stage or we can stroll among your guests. They were funny, friendly, and delightful to have around. They really made the event a huge success. 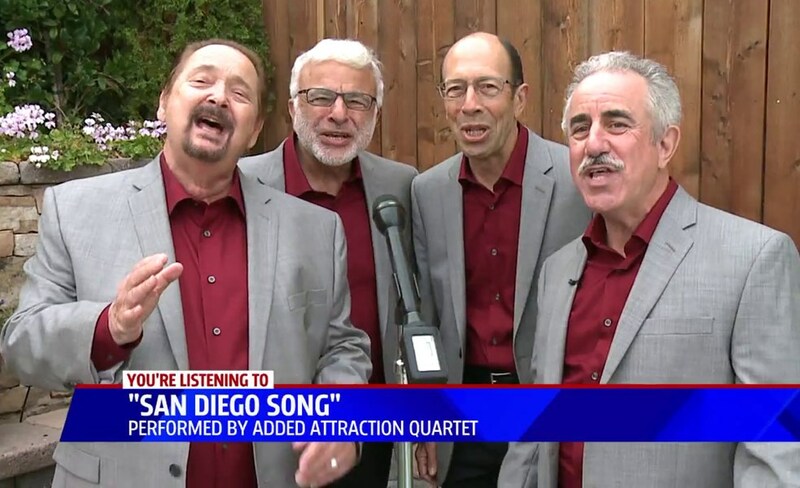 Please note Added Attraction Quartet will also travel to Poway, Rancho Santa Fe, Escondido, Del Mar, San Marcos, Santee, Solana Beach, Cardiff By The Sea, La Jolla, Encinitas, El Cajon, Lakeside, Ramona, La Mesa, Carlsbad, Vista, Lemon Grove, Spring Valley, Oceanside, Valley Center, Alpine, Coronado, Bonsall, Lincoln Acres, National City, Bonita, San Luis Rey, Chula Vista, Pauma Valley, Jamul.